Jim is usually busy working away on his latest picture book or fiction book collaboration so he doesn't get to do as many book events or school visits as he'd like, until he can find a way to clone himself. Details of all public events will be posted here as far in advance as possible. 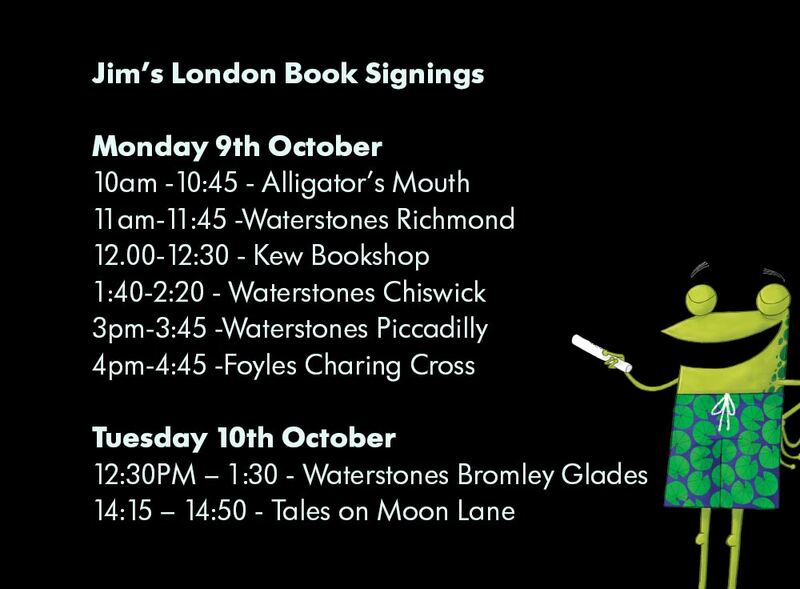 Please come along to hear him read his books, learn how to draw his characters, get your books signed or just say Oi JIM! I'll be whizzing around London visiting lots of wonderful bookshops on Monday and Tuesday morning. Have a look at the list on the right if you'd like a Oi doodle and dedication. Please note, it will be a very quick visit so you'll need to arrive at the time shown next to the relevant book shop. I will be doing 5 events at Cheltenham Festival. Two Oi themed events with Kes Gray. A Family event with Rachel Bright celebrating our new book The Squirrels Who Squabbled. A School drawing event and also The BIG Draw event. Some events have sold out but some Tickets are still available, please click the button below for tickets. I have been invited to be part of the Fete du Livre Jeunesse at the School at 21 Rue Milton, 75009 Paris for the third year organised by the super Bookshop Librarie Les Arpenteurs, 9 rue Choron, 75009 Paris. There are 30 authors/illustrators signing books, with a super line up...Bruno Gibert, Guillaume Guéraud, Stéphane Kieh, Junko Nakamura, Philippe Nessmann, Hervé Pinel et Christine Schneiderit's, Mathias Friman, Jean-Luc Fromental, Aurélie Gerlachopen, Clothilde Delacroix, Marie Desplech Thomas Baas, Anaïs Brunet,Ced and moi. It's open to the public to come along, buy some lovely books and then get them signed by the author or illustrator in the sunshine. What else could you ask for? I am delighted to be taking part in this years Edinburgh International Book Festival. Kes and I will doing an event with Oi Dog! and Oi Frog! and give you a sneak peak of Oi Cat! Come along for rhyming fun and hilarious mishaps from your favourite animal friends. Tickets go on sale at 8.30 am on Tuesday 20th June. Click here! I will be running a 'Draw along' event for the School programme on Monday 28th August at 11.30am for P1-P2 pupils at Baillie Gifford Imagination Lab. 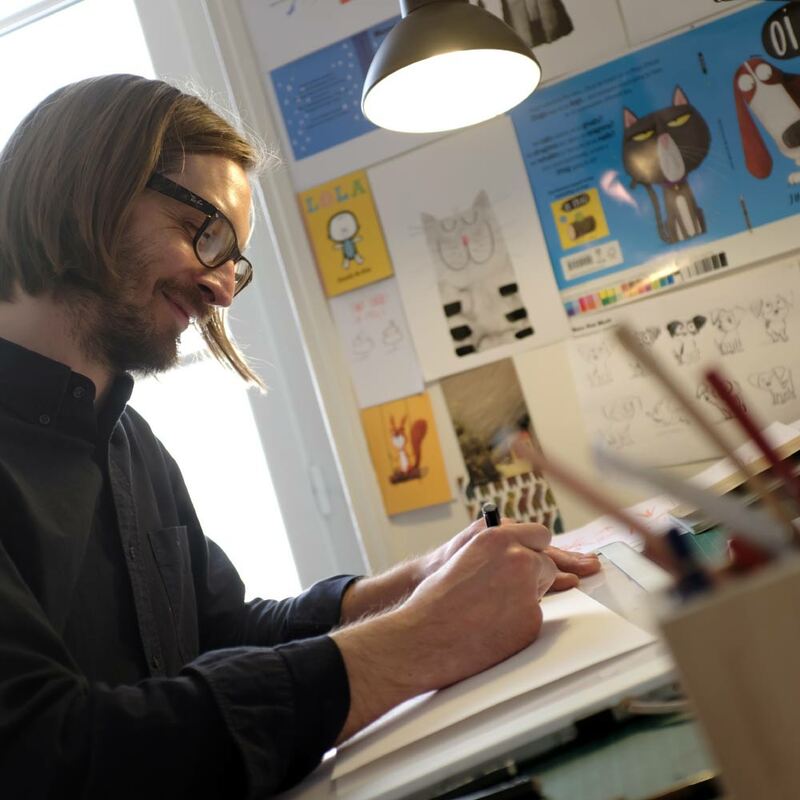 Meet the hilarious animal characters from Oi Cat!, The Lion Inside and Rabbit & Bear as you join multi award-winning illustrator Jim Field for an interactive draw-along event. Get top drawing tips, go ‘behind-the-scenes’ and see how Jim works, and set him some tricky drawing challenges. 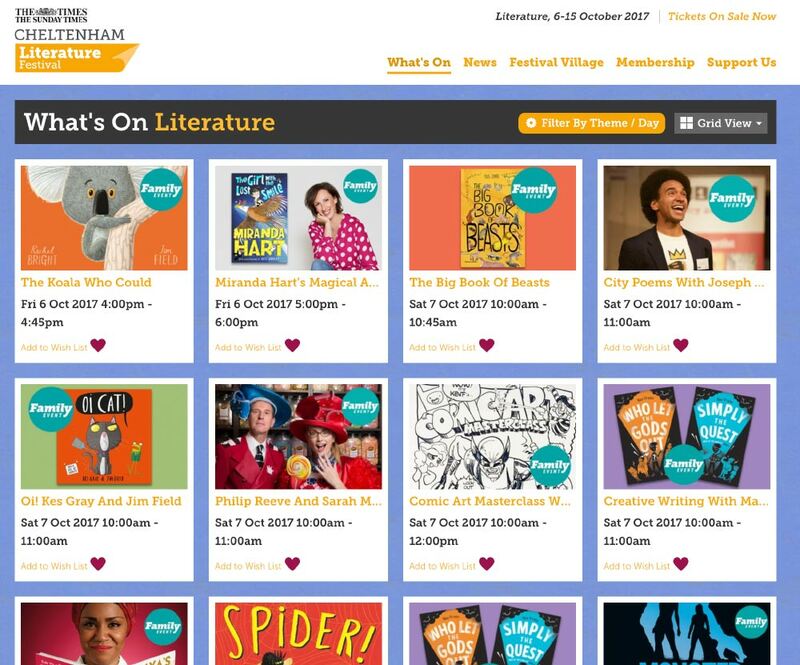 You can download the full Edinburgh International Book Festival 2017 programme for school's from the link below. 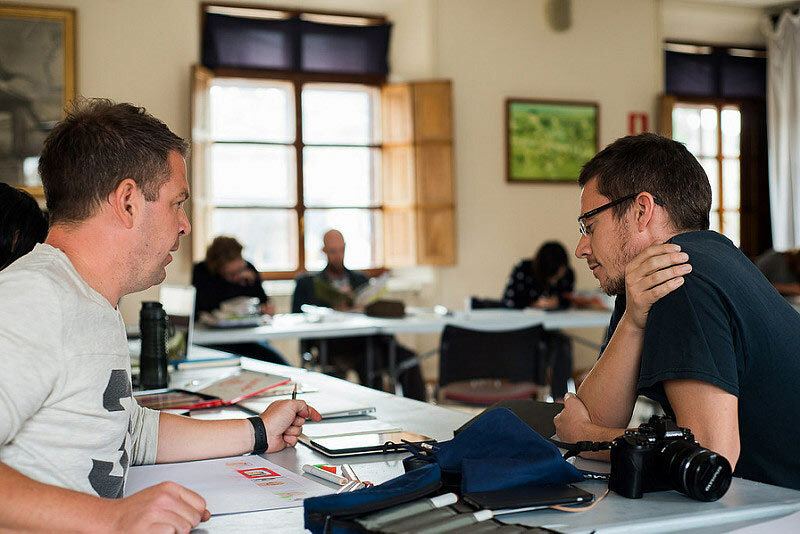 A 4-day intensive masterclass covering the fundamentals of picture book making. It will offer new and aspiring authors the opportunity to expand their skills in a friendly and relaxed setting, with award winning author/illustrators Kitty Crowther, Alexis Deacon, Jim Field, Chris Haughton, Jorge Martin and Chris Riddell. There will be practical advice and exercises on all aspects of creating picture books: writing, story building, composition, rhythm and character development, as well as how to market and pitch your book to publishers. The class will be small to ensure there is quality time to develop your ideas and get feedback. I've contributed some original Bear & Rabbit art work to the current BEARS! 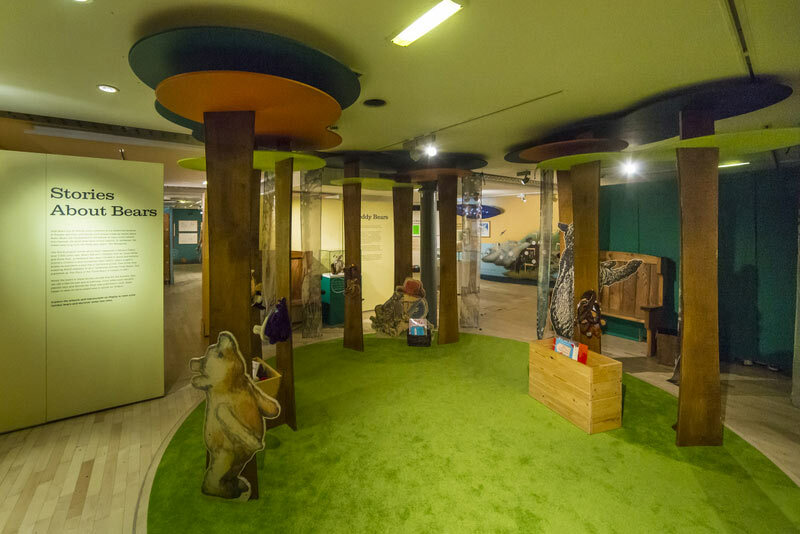 exhibition at Seven Stories, The National Centre for Children's Books in Newcastle UK. The exhibition is an opportunity to see beautiful, inspiring illustrations and preparatory artwork from the creators of many of your favourite bear books, including Jon Klassen, Anthony Browne, Lucy Letherland, Jackie Morris, Petr Horacek, Dave Shelton, Jim Field, David Litchfield, Helen Cooper, David Melling, Rebecca Cobb, Sav Akyuz, Jane Hissey, Joel Stewart, Emily Gravett and Chris Riddell. I'll be taking part in a couple of big UK book festivals later in the year. Check back here or sign up for my Mailing List below.